So what does move us? According to Rosenberg, it’s peer pressure. You know—the same thing that drives teenagers to wear certain clothes, smoke cigarettes, and engage in all sorts of risky behavior that drives parents crazy—except it’s much bigger than that. Peer pressure is also responsible for some astounding instances of social change, which Rosenberg highlights in her book—from a campaign that lowered the incidence of HIV among South African youths, to the organization of a previously passive and fatalistic citizenry into the nonviolent army that overthrew Serbian dictator Slobodan Milosevic. 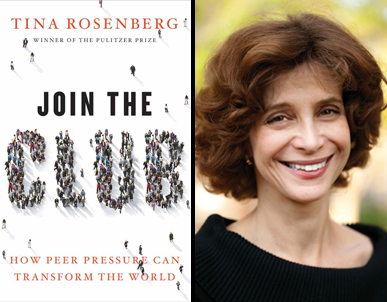 I recently met up with Rosenberg to discuss her book and the implications of what she calls “the social cure”—the process that changes people’s behavior through joining a new peer group—on the world of activism. The conversation touched on the relevance of social media, the success and fear of failure in Egypt, peer pressure as a means to combat climate change, and Rosenberg’s formative years spent living under two dictatorships. I was doing a story for the New York Times Magazine on psychological and social and cultural barriers to fighting AIDS. I had gone to South Africa and the story was in part about loveLife, which is the teenage prevention program there, and it threw out old strategies of giving people information or scaring them and instead decided to make a really fun group to belong to—one that kids would want to join and was very positive and was about them. It’s been quite successful. Then I met Ivan Marovic [one of the founders of the student movement that led to the ouster of Milosevic] and I learned about Otpor [the name of that movement, which means “Resistance”] from him and realized this group was using a very similar strategy. I was working at the time on writing an article about Otpor and CANVAS [the group that formed out of Otpor and has trained many activists around the world] for the Times magazine, which ended up running in Foreign Policy. Since they were both using the same strategy and techniques of trying to mobilize people for a social cause—not by giving them information or scaring them, but by forming this really cool, hip, positive movement that allowed people to think of themselves as daring and heroic instead of passive victims in Serbia—I decided that I needed to write a book looking at how this strategy can be employed in other ways. You reference Malcolm Gladwell a couple times in the book. Despite few overt references to activism in his work, many activists have found his theories on the way ideas spread to be useful in their organizing efforts. Join the Club, however, is more activist-oriented. Was this a conscious decision? Did you recognize the applicability of recent social science findings to activism? I’m naturally much more political than Malcolm. He’s a brilliant writer about social science curiosities. My first book, however, was about political violence in Latin America and my second one was about dealing with the past in Eastern Europe. So, I’m just more interested in those topics. But Malcolm is now writing about this. He had a New Yorker article arguing that there’s no such thing as a Facebook revolution. Yes, that caused a big stir in the activist world. What’s your take on that argument? Social media is a platform like traveling minstrels or sky writing or TV or newspapers or word of mouth. It’s an effective platform. 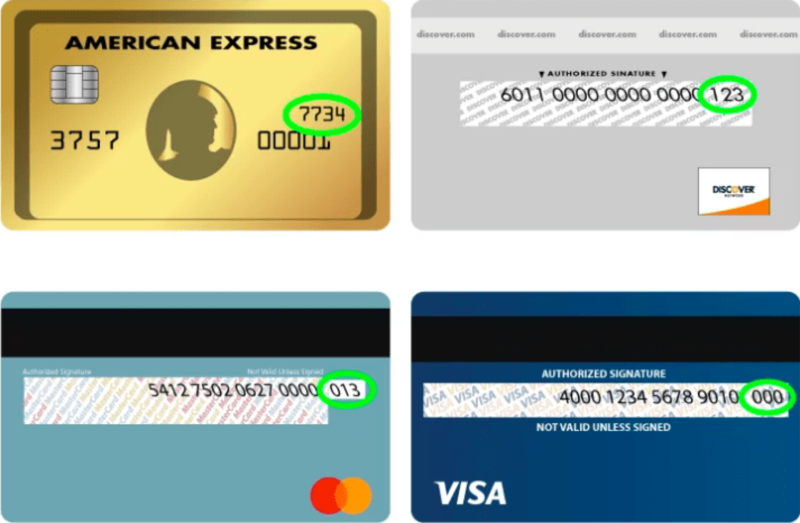 It can let you get to your membership cheaply and in a mass way. But I don’t think revolutions are conducted online. I think revolutions are conducted in the street. The April 6 movement [in Egypt] may have had 75,000 members on their Facebook page, but if they hadn’t had the strategies in the street, they wouldn’t have gone anywhere. Scholars of digital activism have argued that the shortcomings of social media might not be the fault of the medium, but rather the people using it. It might be possible, rather than tout the supremacy of social media, as some “cyber utopians” do, to learn how we might better use the tool to form strong personal bonds. I don’t think it is. I think what Facebook can do is get people to Tahrir Square, but you need to be in Tahrir Square to be able to build those ties and to build a movement where everybody says, “This is where I have to be.” I don’t think Facebook can do anything more than post the information. Maybe I’ll turn out to be wrong, but for the moment, that’s what I think. How did you see a social cure at work in Egypt? First of all, obviously a lot of CANVAS tactics were at work in Egypt—not necessary the social cure ones, but the more strategic ones—such as being nice to the police, et cetera. I think those are very important, but the social cure was evident in the way people felt about themselves during the revolution and going into Tahrir Square and being surrounded by this wave of massive goodwill and the feeling that you’re a hero and that you’re daring and doing something important. I think that was absolutely crucial in Egypt, and that’s the social cure. In the book, you mention that everyone in Otpor agreed on the need to overthrow Milosevic, but not everyone agreed on what Serbia might look like after Milosevic—particularly the economic system. This has been the case with other recent nonviolent pro-democracy movements and has led to lingering issues in those countries, despite the victory of largely bloodless regime change. We are starting to see it in Tunisia and Egypt, with the G8 pledging billions of dollars in aid to the two countries so long as they embrace neoliberalism. Can a social cure be used to support a longterm vision that protects countries from being manipulated by global powers? I don’t know if it can. It’s much more difficult, and in fact Otpor didn’t manage to do it. They had a few small contributions to make after October 5, 2000 [when Milosevic was overthrown] and it failed in the end, for many reasons. You need a clear-cut enemy. The purpose of a social cure is not to inform; it’s to motivate. You need to already have a basic agreement on what you’re motivating people to do and it has to be something people already know they want to do. So with policy, it’s just not going to work like that. I can imagine, and I write about it in the book, how it could be used to run an anti-corruption campaign. It’s something that’s really clear; everyone already knows we want this. But Otpor really hit the sweet spot in terms of the circumstances for which a social cure is really really good. It was perilous, but not too perilous. There was a very clear enemy; everyone agreed on that. They were really ideal conditions. Why do you think some people, like the members of Otpor, understood the social cure? Obviously they didn’t have your book to know what it was. But the idea was more intuitive to them than others it seems. How did the Serbs hit on it? I don’t know actually. From the very beginning it sounded like they were trying to figure out how to motivate people. It was a group of exceptionally smart people. That’s probably not unique to Serbia. Chile [in the 1980’s] was the same way. It had this very tired and somewhat corrupt and discredited political class that was doing business as usual. And then you had a student movement. The student movement did not come up with the creative solution that they did in Serbia, and I’m not sure why that is. Perhaps because the politics in Chile wasn’t as discredited as it was in Serbia. Chile is just a highly politicized society. So almost every student in Chile belonged to some political party. Maybe they had a vested interest in doing it the old way. But most countries are closer to Serbia than Chile in that way and yet they didn’t come up with this. How did you end up living under two dictatorships—Pinochet in Chile and the Sandinistas in Nicaragua? I went to Nicaragua in 1985. I was very young and had gone there for a week with a friend. It felt like visiting the moon. It was so bizarre. I had never been to a poor country, a socialist country, or a country at war. And I just thought, “Wow, this is fascinating.” So I moved there and then I started to write and I found that a lot of the publications I was writing for—because Nicaragua was so highly politicized and the Reagan administration was pushing so hard on the politics—didn’t want to take articles from someone who was very young and very unknown. So to be able to make a living, I had to branch out and visit other countries and I had to write about them. I went to Chile in ’86 and just fell in love with it, as many gringos do. Did you feel a special connection to the Otpor story, having had those experiences, witnessing protests against autocratic regimes? The Otpor story, which I devote two chapters to in the book—more than any other story—is very interesting to me because I’m interested in political change. I really felt like it was a creative solution to a problem I’d seen over and over again: how do you build a movement? I also felt it was interesting because the way they did activism can be turned to other purposes, not just toppling a dictator. So I thought it was a versatile strategy. What did you know about nonviolence before learning about Otpor? I knew of Gene Sharp. I don’t think I’d read anything he’d written. But Chile and Nicaragua were very cautionary experiences on how armed insurrections are not necessarily all that useful—Chile especially. I felt that the existence of a guerrilla movement was a big problem for democracy activists. It wasn’t going to help. So I was already in tune with the idea that violence can be a contaminant for a successful nonviolent struggle. Do you see a similarity between the social cure and nonviolence, at least in the way that they make use of group dynamics and winning people over to a particular side? I think they’re really different. The social cure is not just about community. I want to make a really big distinction between the way we form groups and the idea of social capital. Having ties with other people is a very good idea and I think that’s extraordinarily important for nonviolent struggle, but that’s not what I’m writing about. What I’m writing about is how to use that social capital in a very specific way, which is to create behavioral change and the uses of that. So I think the social cure can be used in nonviolent struggle. I do write about how it can be. But I think the two phenomena are different. Climate change is an issue that plays on many of the themes in your book—it’s such a major failure of information to inspire social change. You mention it only a few times in passing throughout the book, but clearly it’s something you’ve been thinking about. It is, and it’s a tough one, because the problem is extremely salient and present and overwhelmingly important in some countries, but those are not the countries that have the capacity to do anything about it. If they had coal plants in Ethiopia, they could probably amass huge protests. But they don’t. They have coal plants in countries where people are not yet personally touched by climate change to the degree that they are in other places. I think that’s a big problem for using the social cure for climate change. It may not be five years from now. How can the climate movement make use of the social cure? The key in mobilizing people with the social cure is to focus on how do we make this about you, about how you think of yourself and how your friends think of you. There are other ways—for example, buying choices and purchasing are really important with climate change. There is an avenue in using peer pressure to encourage people to make better decisions about how they live. But it is so far lacking the salience. It’s tough in a society like ours where it’s not a life or death issue yet. Thanks for this interesting interview! I do regard some of the recent lifestyle changes among young people as a kind of social cure for climate change — for example, the use of bicyles and buying and growing more local food and handmade products. Yes, absolutely! And the reason these practices are catching on is because doing them makes you part of a group. It’s not just about the practicality or the fun it may provide, it’s about the identity shaping as well. In some places the “social cure” for global warming has become an organized movement. In Berkeley and Oakland we have been organizing “Neighborhood Vegetables.” Most weekends we have at least one “garden work party.” Ten or fifteen people gather in someone’s front or backyard garden and help them do whatever they need to grow food. And yes, the sense of social solidarity is growing. this comment is not related to this post. i just don’t know how else to reach you. i have information that if you don’t already have you will be happy to have. it concerns the village in france that saved thousands of jews during the holocaust. when you wrote about it some 2 years ago on huffington post, you lamented that a movie had not been made about it. in actual fact, a movie WAS made. perhaps someone already told you. in case they haven’t, here are the details: http://movies.yahoo.com/movie/1808712358/details. i saw it some years ago and it was, indeed, astonishing and inspiring. you may find my own blog compatible: baynvc.blogspot.com. many of my posts are about deep nonviolence. may your spirit stay strong to hold your views despite opposition. The following question and subsequent answer reveals, more than anything else, why all this nonviolent regime change business is a sham for real freedom and democracy in the countries where “success” has been claimed. I wonder if those activists in Egypt or Tunisia would agree. Of course the elephant in the living room is all that strategic and financial assistance coming from Washington and Western Europe. Proponents of “people power” usually choose to attack each and every attempt to point out how these “revolutions” are smudged all over with the fingerprints of the foreign policy infrastructure. But, again, that is why these movements aren’t successful in “real terms,” as the movements consciously shy away from complicating the political message. Truth is oftentimes complicated, especially when it’s been consciously hidden from view. 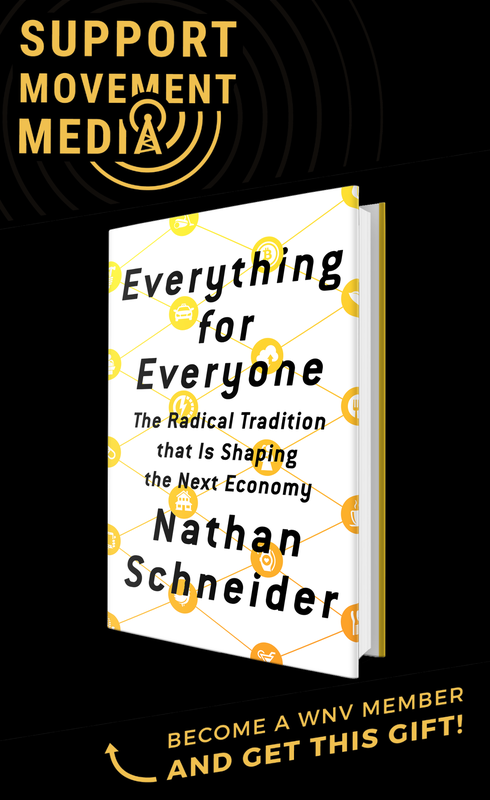 Real economics and real political strategy are hidden from the people, substituted for lies and over-simplifications, and it is simply naive to think otherwise. Discovering truth and wisdom, in this case, takes time. It simply cannot be “marketed” or “branded” (like OTPOR) with the expectation that real, substantive changes will occur. What an interesting article. I’m putting Tina’s book on my must read list.